An icon of power and authority, of stealth, of watchfulness, and even of Satan, the list is long for what the lion has symbolized over time. 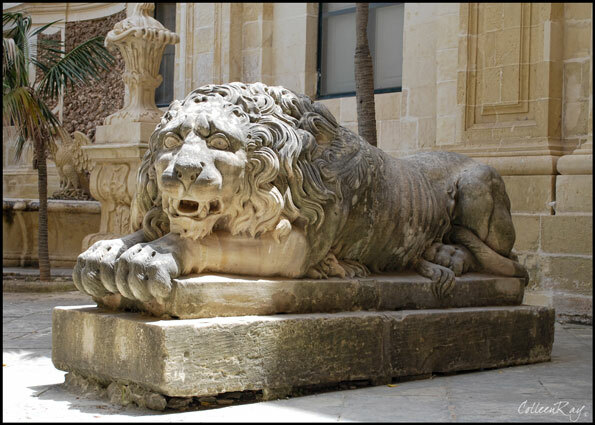 In Medieval times it was believed that lions never slept and so they came to represent watchfulness. 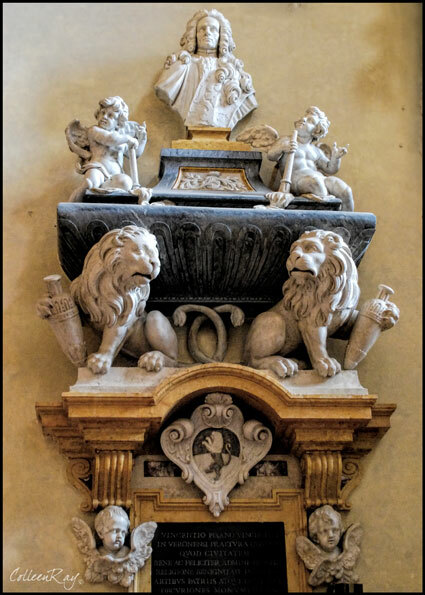 Biblical references speak of the lion as a symbol of resurrection both because of St. Mark's relationship to Christ and because it was believed that lion cubs were born dead and came to life three days after birth. 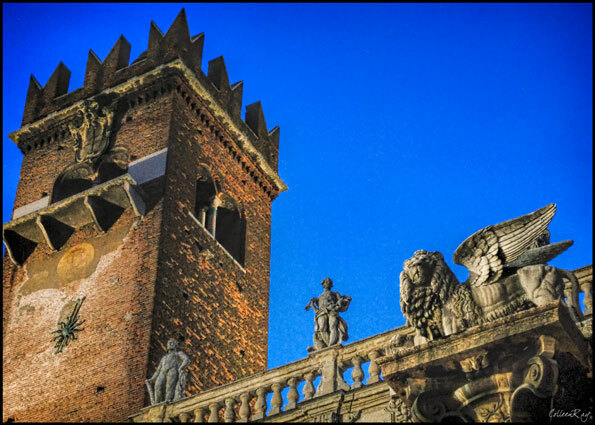 In Venice, he is no mere lion, he is the Venetian Lion. 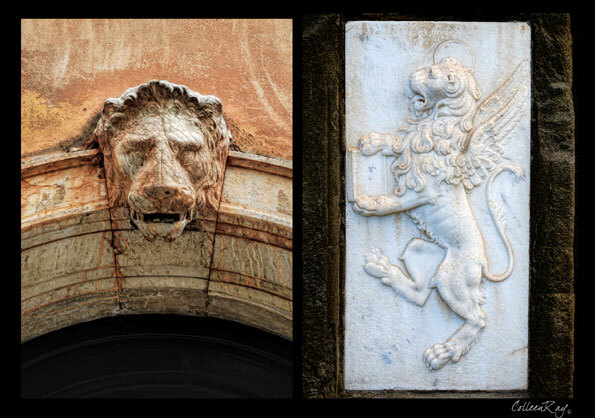 The symbol for St. Mark and for the city, the lion flies on the Venetian flag. 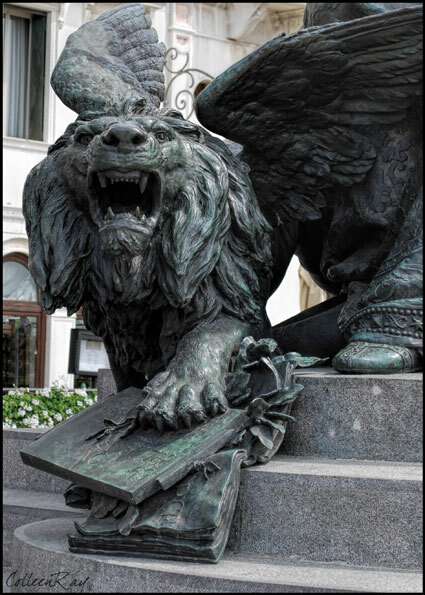 The traditional Venetian Lion is winged and rests one paw on a book. 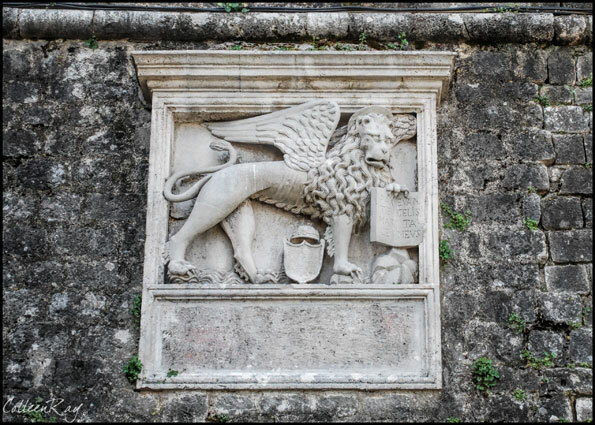 Inscribed in Latin, the inscription translates to "peace be upon you, O Mark, my Evangelist" which are said to be the words spoken by an angel to St. Mark after being shipwrecked in the lagoon and coming to rest in Venice. 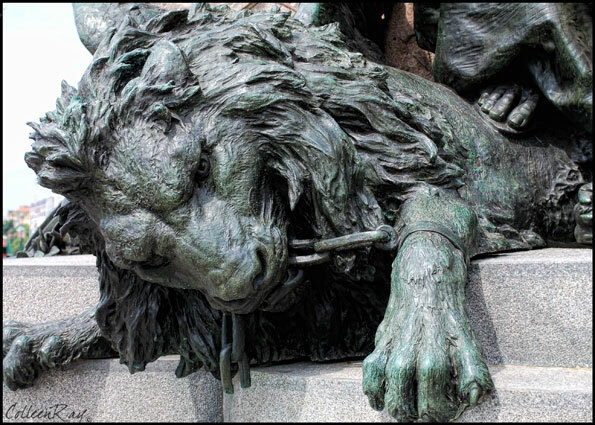 Some lions have a sword held in the other paw, a mark of fierceness added in times of war. 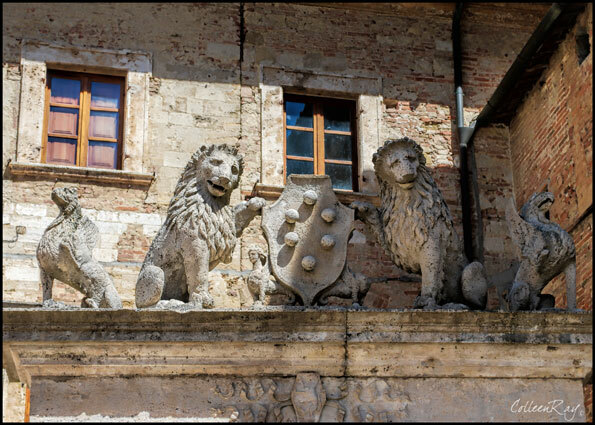 Outside of Venice, we saw countless coats of arms incorporating the lion. 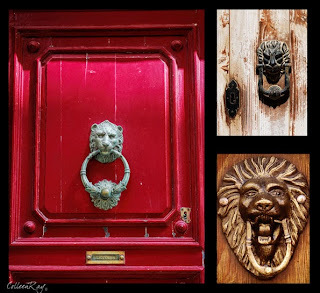 It seemed as if almost every nobleman wanted the mighty lion on his crest. 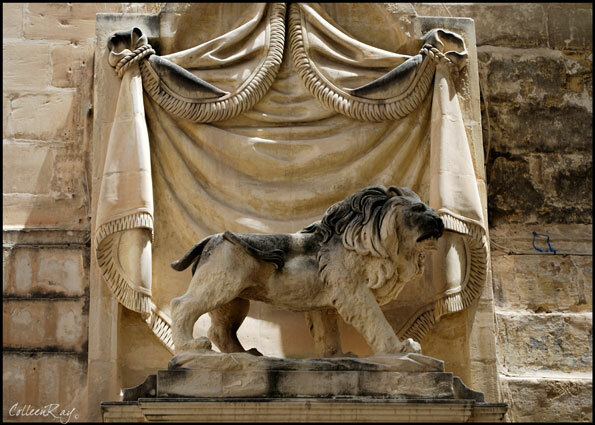 Some chose lions to adorn their crypts as reminders after death of their power and importance. Lions embellish important buildings, await you at the entrances to cathedrals, stare down upon you from high pedestals in public squares, and are common as door knockers. 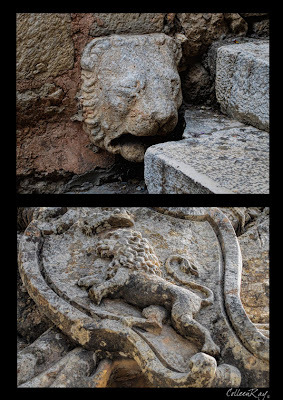 Sadly, we saw one poor lion reduced to being used as a drainpipe! 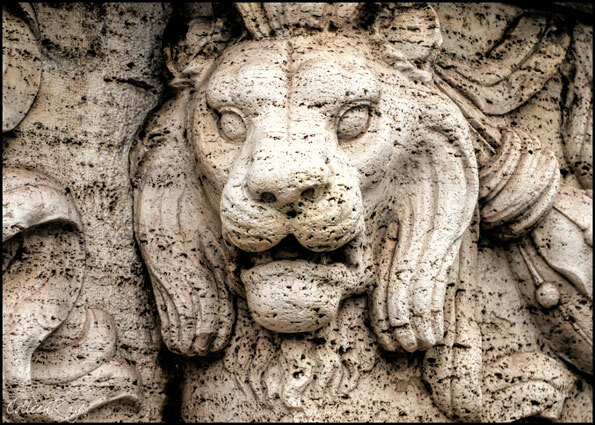 Marble or stone, works of art or crudely fashioned, worn away by time and the elements, the mighty lion endures.